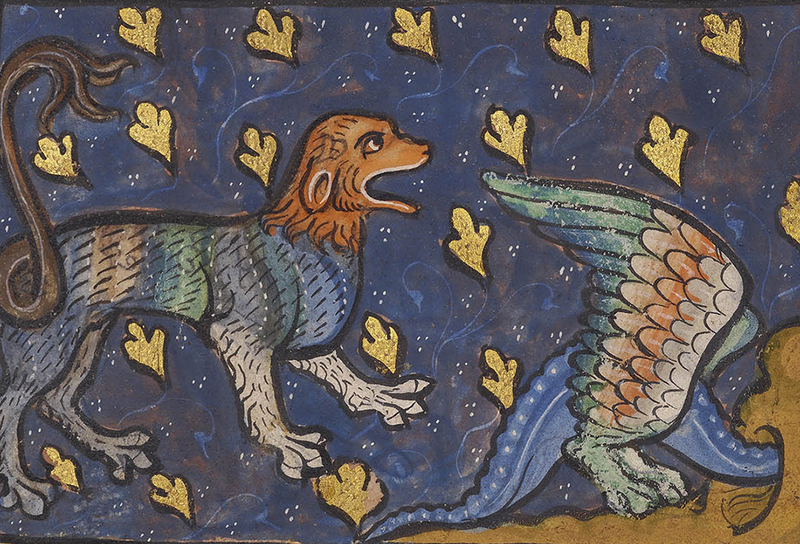 The J. Paul Getty Museum in the Getty Center, Los Angeles, will present a new exhibition from May 14 – August 18, 2019 – Book of Beasts: The Bestiary in the Medieval World, will bring about an unprecedented gathering of bestiaries, the first major exhibition to explore them in depth. 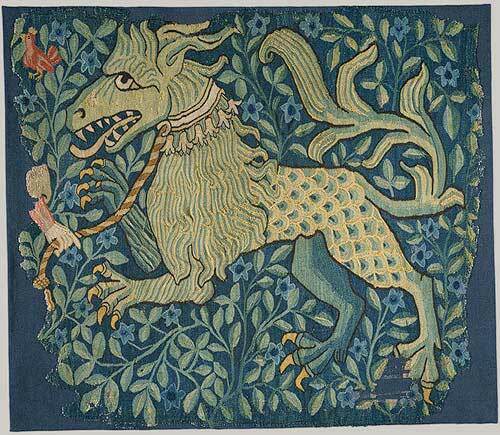 The bestiarum vocabulum, a compendium of beasts, originated in the ancient world. One third of the world’s surviving Latin illuminated bestiaries will be gathered together with a variety of media, lent by institutions across the United States and in Europe, including manuscripts, paintings, tapestries, sculpture, and decorative arts from the Middle Ages. Bestiaries were made popular during the Middle Ages the natural history and illustration of each beast, usually accompanied by a moral lesson. Three medieval bestiaries in the Getty collection will be on show, including the famed Northumberland Bestiary (English, about 1250-1260) are central to the exhibition, and provided the inspiration for the exhibition’s five themes. The Unicorn, The Bestiary, Beyond the Bestiary, The Bestiary and Natural History, and The Legacy of the Bestiary, will enable unicorns, lions, and griffins to race, to tumble, and to soar through the pages, providing information on what are real, imaginary and hybrid fantastic beasts. The show will abound with vibrant and fascinating images, because the bestiary brought creatures to life before the eyes of its readers. The beasts also often escaped from its pages to inhabit a glittering array of other objects. 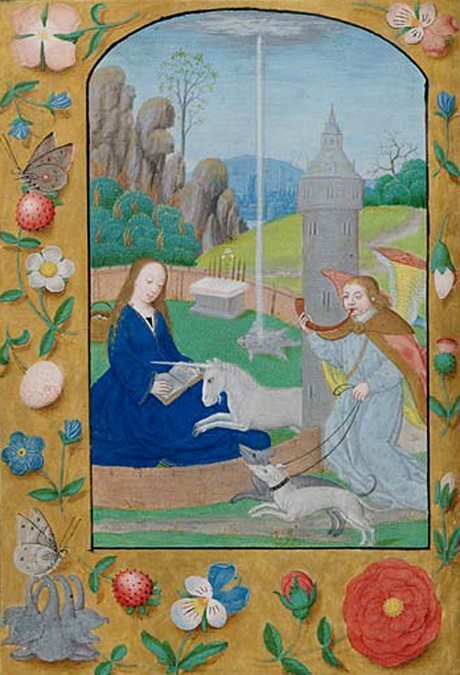 “Many of the illuminated manuscripts produced in the European Middle Ages centered around stories from the Christian Bible,” explains Timothy Potts, director of the J. Paul Getty Museum. 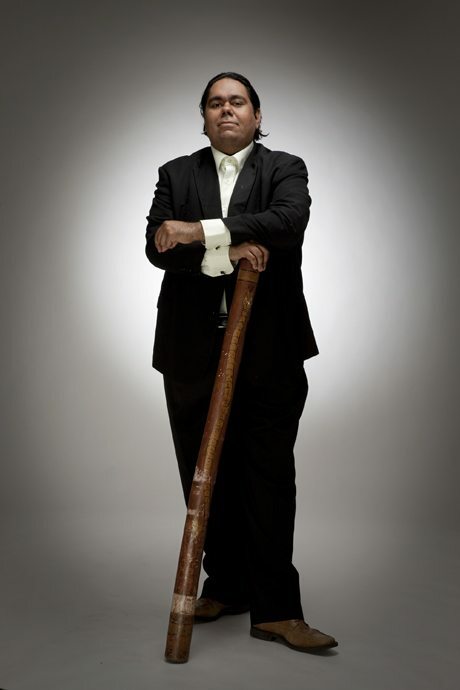 “Less well known, however, are the various genres of writing and illustration that celebrate and ornament aspects of worldly life and popular belief… while giving visual form to creatures believed to have inhabited the known world and distant realms beyond” he said. 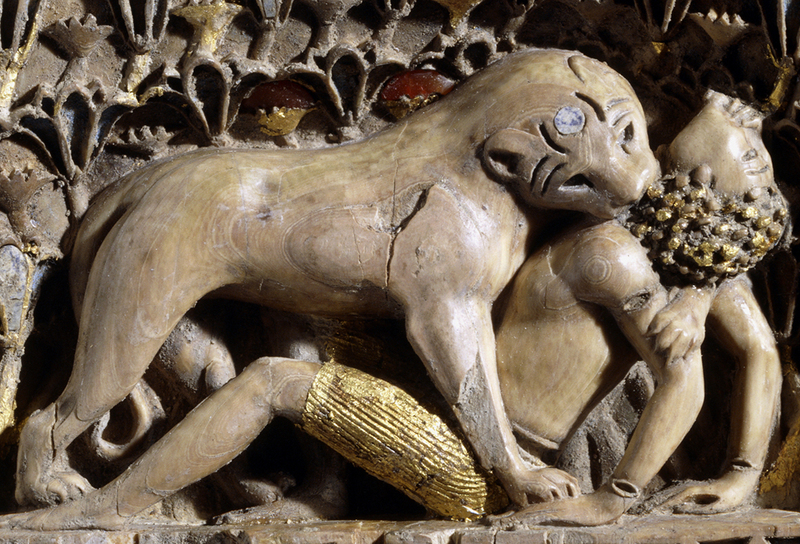 In medieval art, everything stood for something else in an elaborate symbolic code which was familiar to all onlookers; animals and plants contained distinctive moral messages for humans. The fertile medieval imagination produced illustrative works which are today one of the most engaging aspects of medieval art. 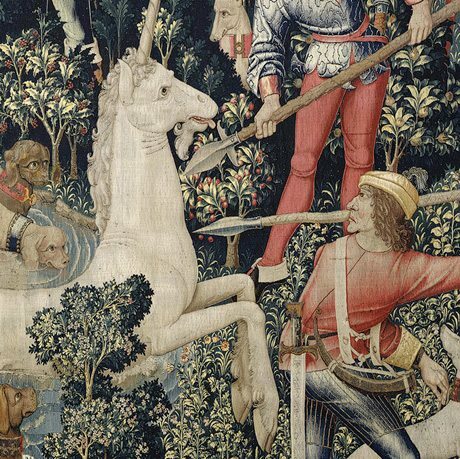 The fantastical beast known as the Unicorn, who was part of a powerful Christian message about the crucifixion of Jesus the Christ, began appearing in written accounts as early as 4BC. Fierce and powerful he was unable to be captured and it was believed only a virgin would be able to tame him. To achieve that end hunters were encouraged to take young maidens into the forest so they would be successful in capturing one. The Unicorn was a pure and very fierce creature, who reputedly when he found the lady he was looking for, would kneel down and place his forelegs and head in her lap, resting peacefully. 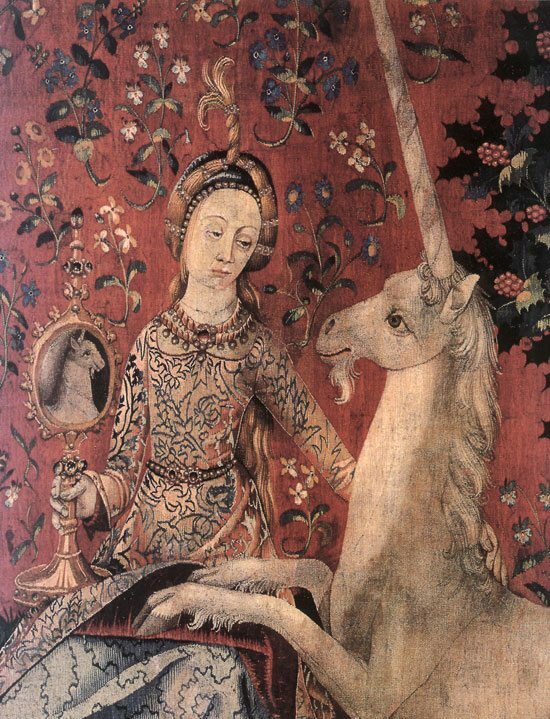 Together, the Lady and the Unicorn became powerful symbols in art, particularly in the world of weaving. Medieval bestiaries contained anywhere from a few dozen to more than 100 descriptions of animals, each accompanied by an iconic image. Although the essential elements of the text and imagery associated with bestiary beasts remained consistent across manuscripts, the bestiary did not become a standardized book. 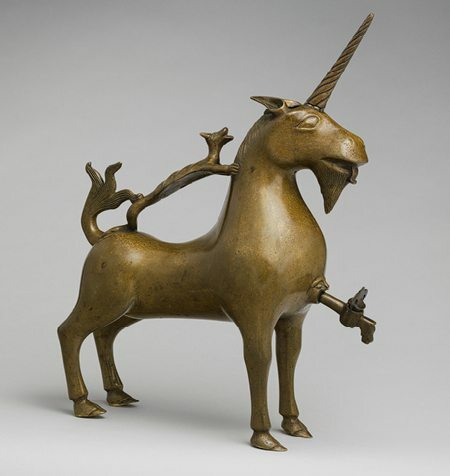 Modern and contemporary works tracing the enduring legacy of the bestiary tradition will be included. “The bestiary’s images can be seen as the medieval equivalent of contemporary memes,” said Elizabeth Morrison, senior curator of manuscripts at the Getty Museum. “…The bestiary, in fact, still impacts how we talk about and characterize animals today. 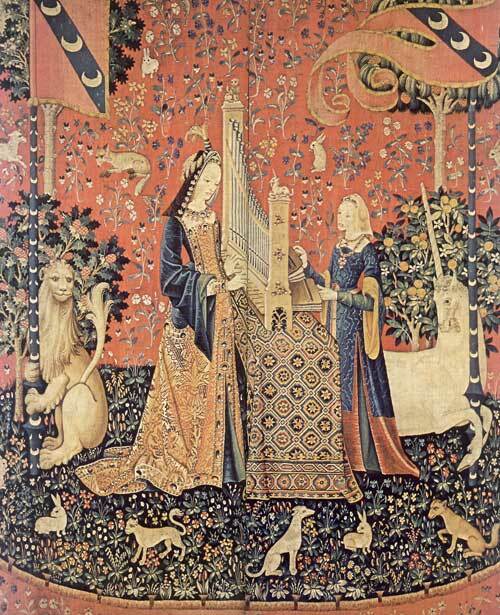 The very first line of the medieval bestiary introduces the lion as the king of beasts, an idea we take for granted even if most people don’t know its origin” Elizabeth explained.